The Fourth Annual Fishing Trip – July 2016 – This was by far the most adventurous trip yet! 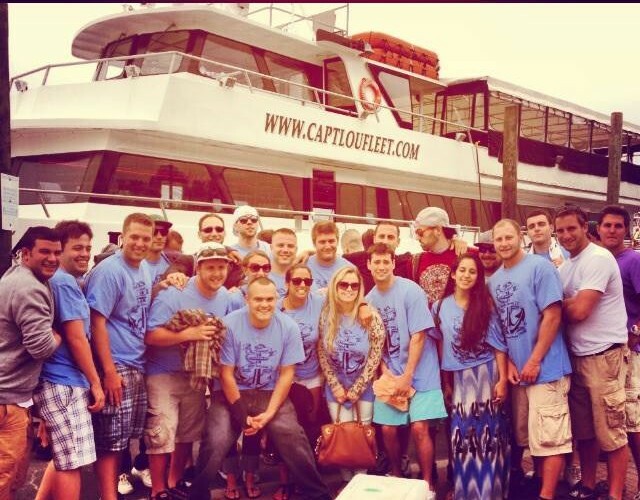 This year we changed Charter Boats to the Miss Freeport V, and talked the Captain into taking us into the ocean. The seas were rough, the rain was present and everyone on board wanted to catch some fish! 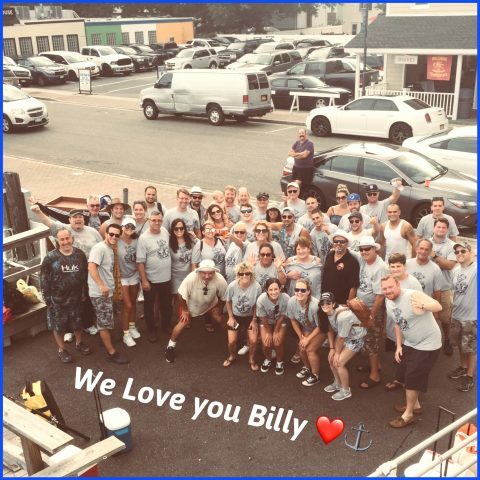 No doubt everyone felt Billy’s presence as we pushed through the storm, laughed, and the poles began hooking some Bass…….and Jimmy hooked a Mako Shark! The Flipagram below tells the whole story. 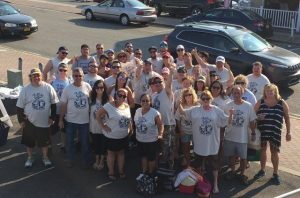 The 2nd Annual Memorial Fishing Trip in Billy’s Honor was held on August 17, 2014. Once again we are blessed with our family and friends who came out for this heartwarming day! We are so fortunate to have the support of our family and friends. Our fundraising efforts were double the amount we originally intended for Shatterproof.org. ! 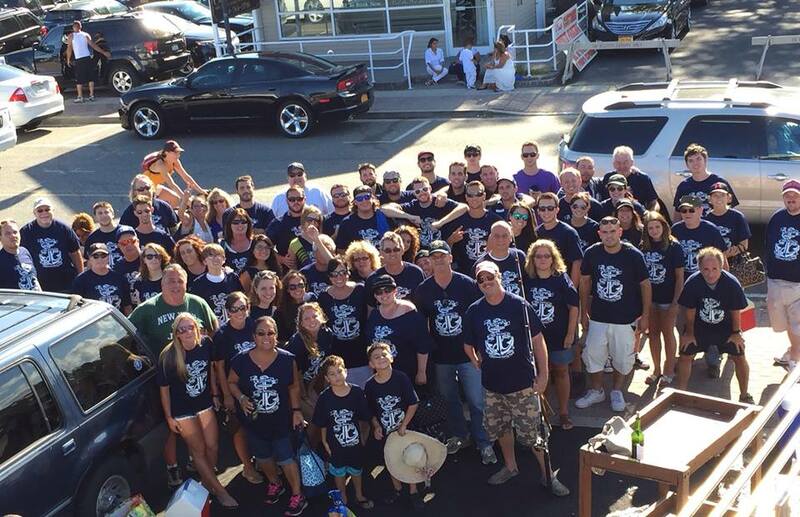 The First Annual Fishing Trip in Honor of Billy was truly “Anchors of Love!” Jimmy had the t-shirts designed perfectly! 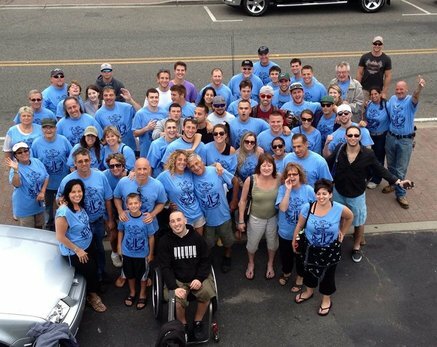 Gathering with good friends and family, feeling Billy so strongly as we all shared his love of the water!